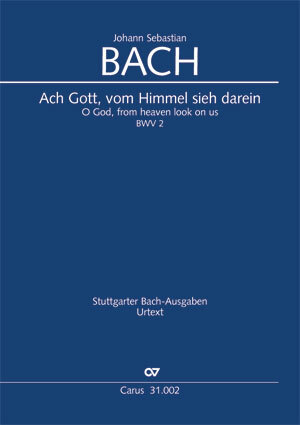 Bach composed the cantata "O God, from heaven look on us" BWV 2 for the 2nd Trinity Sunday 1724 as the second cantata of the annual cycle of chorale cantatas. It is based on Martin Luther’s rewriting of Psalm 112. 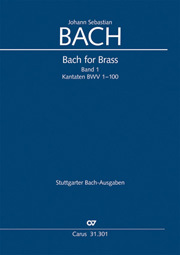 The opening movement is one of a group of cantata opening movements which are not concertante but kept entirely in the motet style, with the instruments serving only to reinforce the singers. The archaic character of this movement is heightened by the addition of a trombone quartet. 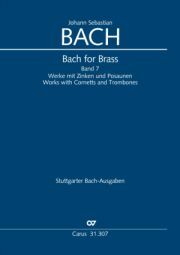 The concertante style is all the more significant in the first aria for contralto, solo violin and continuo. The first secco recitative represents a special feature: two fragments of the chorale are woven as arioso into the recitative, both in text and melody; futhermore, they are also taken up canonically by the continuo.